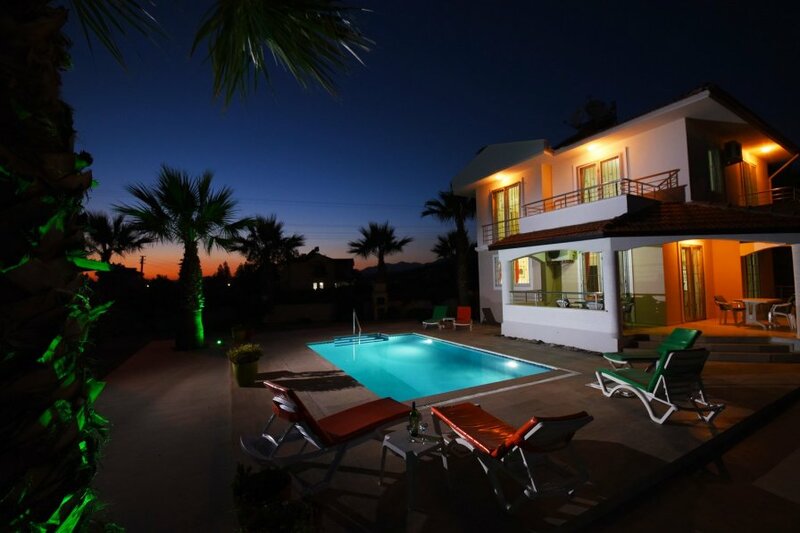 The villa is a 3 minute walk to the beach where there are 3 beach bars/restaurants offering traditional Turkish/English food and drinks along with free sunbeds and umbrellas for during the day. Across the road from the villa there is a small local shop that offers the 'best crepes' in Fethiye along with bread, milk and other basic grocery provisions. There is a supermarket in Ciflik which is a 15/20 minute walk away or a short, cheap taxi ride. Calis Town is a 25 minute walk. In Calis bars and restaurants line the prominade/beach area and the main street so there is no shortage of somewhere to eat. On Calis high street and the prominade there is plenty of shops to buy your holiday gifts or on a Sunday there is an open air market in Calis and on a Tuesday in Fethiye where they sell everything you want from handbags, hoodies, ds games to the freshest fruit and vegetables you have ever tasted! Less than a minutes walk from the villa you can hire a local taxi or flag down a dolmus which is a cheap and convenient hop on/off service. The hotel across the road is a small family hotel and they allow non residents to use their facilities during the day. They have recently built a couple of water slides and kids and adults can use them for a nominal fee of 10 TLR a day. If you have kids this is great as this is alot cheaper to use than the water park in Calis!! We have beautiful views of the hill/mountains and the sunset is the most beautiful one we have ever seen.